OMD! These dresses are pawgeous! 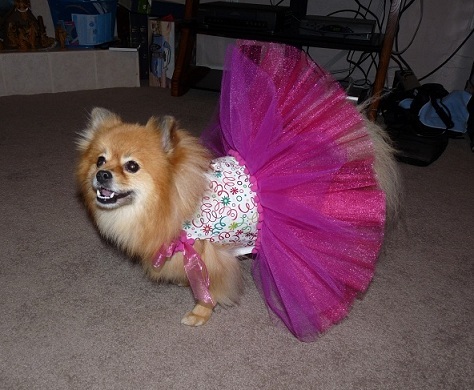 If you have been looking for a couture outfit for your precious pup, look no further. Spoiled Pup Boutique has what you've been searching for. I am wearing the Pink Party Dress. It is part of the special occasions collection. 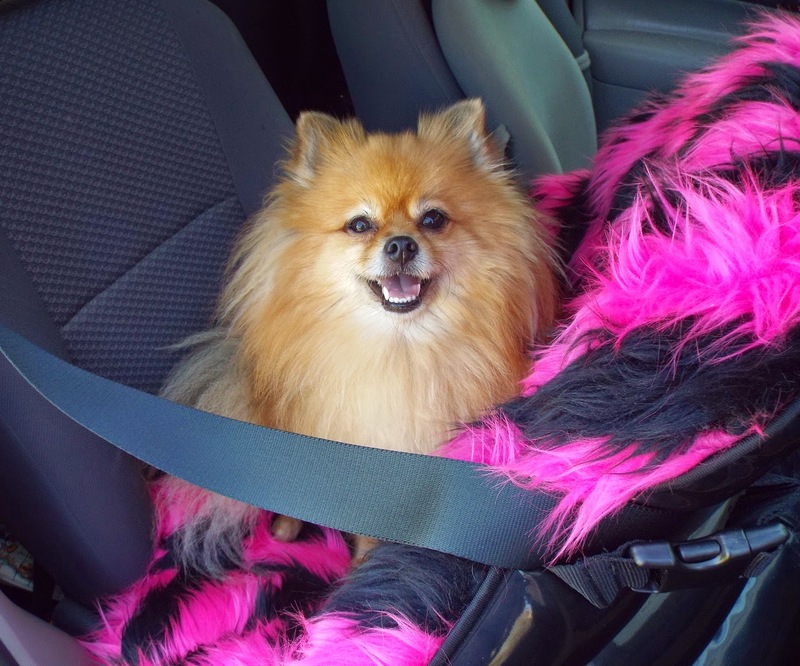 The Spoiled Pup Boutique clothing line is hand made in the USA. 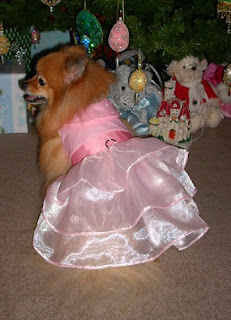 They have outfits for both boy and girl dogs; from coats, to casual clothing, to formal attire. 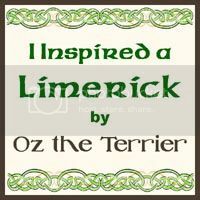 If you don't see what you want, you can have it custom designed for your special pup. Are we going to a pawty? I'm all dressed up! Look at the pretty crystal beads on the collar. These garments are custom made to fit your dog. When you place an order, they ask for your dog's measurements and breed to ensure a proper fit. 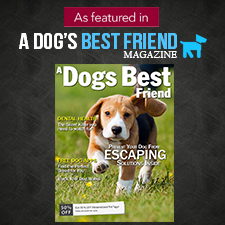 This is great for hard to fit pups like Dachshunds and Pugs. It's time to celebrate! 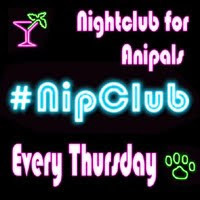 Let's Pawty!! This tutu is even puffier than my tail. 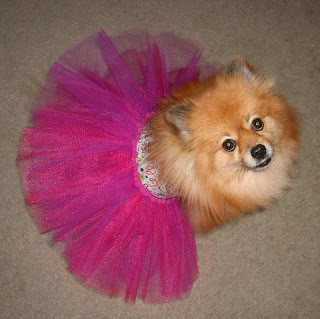 These furrific tutus are puffy enough to display well, even on a furry Pom like me. My fluff can't hide this super full tutu! I am certain no one will mistake me for a boy when I wear this. This tutu has two coordinating colors of tulle. 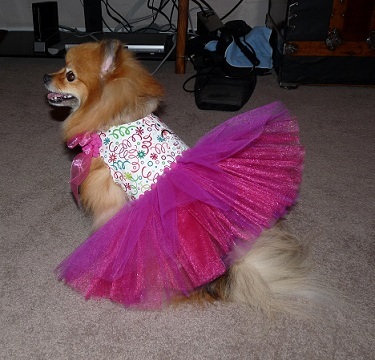 I believe I will look stunning at any event wearing a dress or tutu from Spoiled Pup Boutique! Which Spoiled Pup Boutique outfit is your favorite? If you were to design a custom garment, what would it look like? Review Disclaimer: I did not receive any monetary compensation for this review. I was given free clothing to review. The opinions in this review are my own and not influenced by any outsider . I am an affiliate with the company. Pepper you look absolutely stunning in all those outfits and there is no way in that one someone would think you are a boy. For your mom to be impressed with the making of the dress shows it is made correctly since she is a seamstress herself. You wear any of them to a party you will have all the male doggies by your side. Thank you AJ :) I look forward to wearing them at my next event. Pepper those are so beautiful! I would look great in them but I don't even like sweaters BOL! 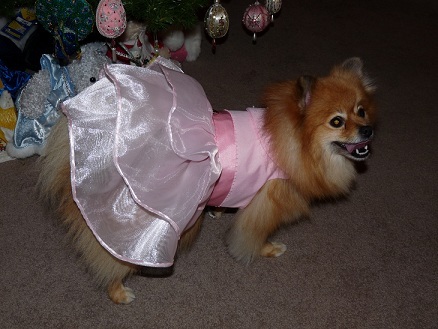 You would look beautiful in a dress Molly! But I do agree with you that if a dog doesn't like clothes, it shouldn't be forced to wear them. Clothes don't bother me and I like the attention people give me when I dress up. The treats are good too. BOL! Pepper you are so stunning in those outfits! Do they make big girl sizes? I would absolutely love to shop there. Thank you for bringing attention to this place. How could anyone ever take you for a boy? You are gorgeous! You look stunning in BOTH outfits. 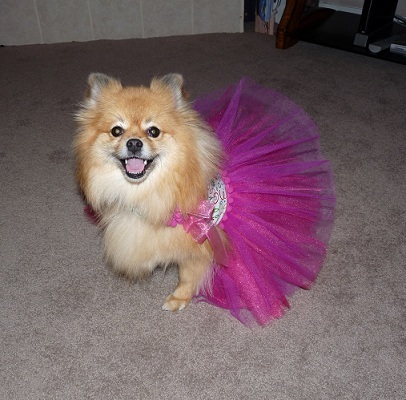 The first formal one is just like a prom dress and the tutu is so pretty and fluffy! Thank you! :) I am happy you like them, they make me feel so special! Pepper, you are the perfect model. You make Mom want to go out and get a girl pup now so she can dress her just like you. We think you are beautiful. Thank you Romeo! They make very handsome clothes for boys too! Many of them match the girl's dresses, so that humans who have both(a boy and a girl dog) can dress them in coordinating outfits! Hi Coco and furmily! These made to order clothes are pawsome!! 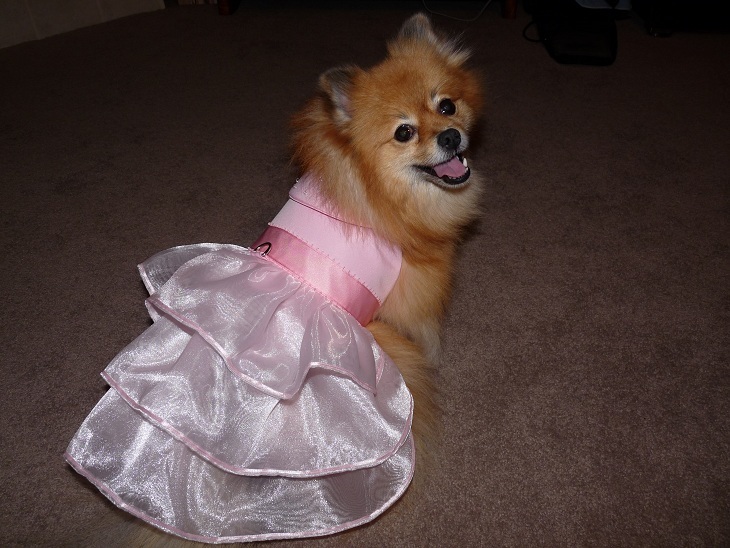 Teri has pawsome tastes in clothes! The dresses are beautiful and you look lovely! You are wearing them to BlogPaws I hope! Ohh Pepper, you look pawsitively purrfect.. You look soo *girly, girly* High paws to you! !